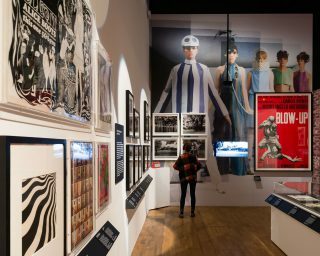 This exhibition was a highly immersive object-rich exhibition and one of the V&A’s blockbuster exhibitions. 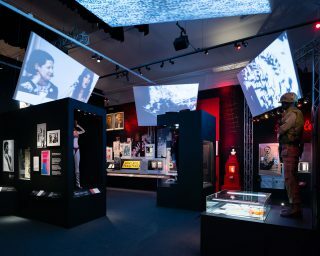 It still tours to international venues. 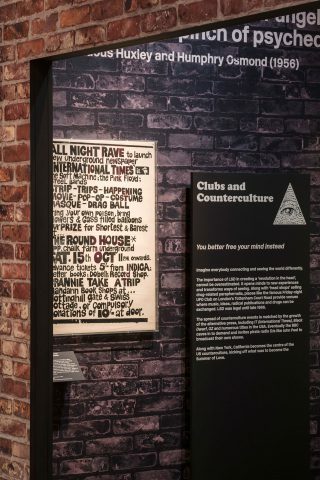 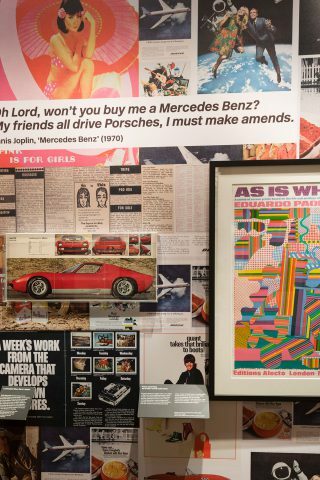 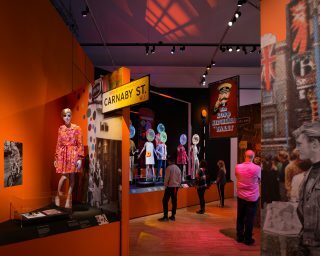 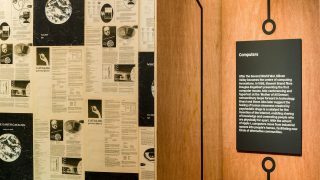 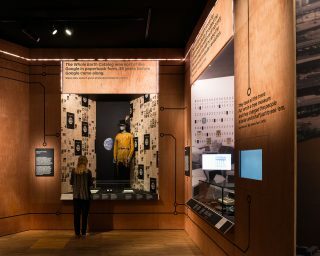 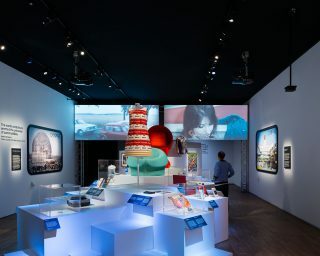 Our design took visitors on an experiential journey through the late 1960s as they explored activism, music, fashion and design. 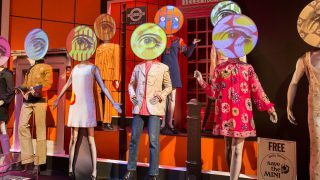 Large scale projected film, AV and sound mixed with objects created theatrical environments that took people from Carnaby Street to Woodstock. 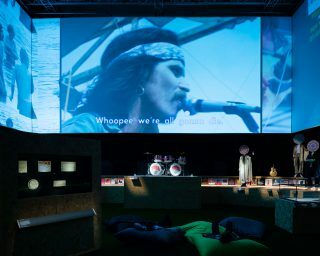 Throughout the visit, visitors wore headphones that provided soundscapes and soundtracks to the exhibition. 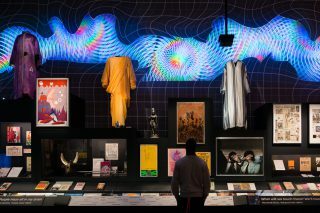 As they moved between spaces, the music triggered to change.